A secret weapon to some, a hidden treasure to the rest, the Valley People Dyna-mite is a Swiss army knife limiter/expander design with unique character that has inspired engineers to do crazy things with sound for decades. Now it’s more versatile and easier to use than ever. 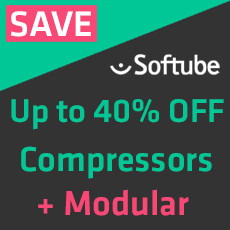 Adding two hyper-focused plug-ins based on the same sound, Softube boiled it down into a simple, modern package. Meet Dyna-mite Slam, and Dyna-mite Gate!